Has Rovio Stars' first release left us cold? 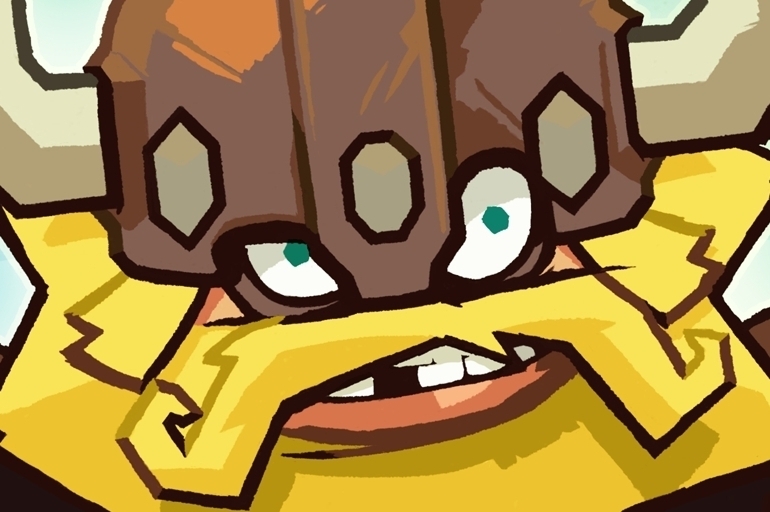 It's easy enough to understand why Rovio Stars, the new third-party publishing arm of the famous Finnish developer, would have snapped up a title like Nitrome's Icebreaker: A Viking Voyage. It's a physics puzzler through and through, and so represents very comfortable ground for the Angry Birds giant. It's also different enough from the company's flagship product to legitimize this new publishing venture. Your job is to slice and dice the icy land in each level. Make a slash Cut The Rope-style, and the ice you've cut apart will start sliding around the screen. Your job is to deliver the brave Vikings stuck in, on, or around the ice and bring them to the safety of the longship positioned elsewhere on the screen. It sounds simple enough, and at first it is. 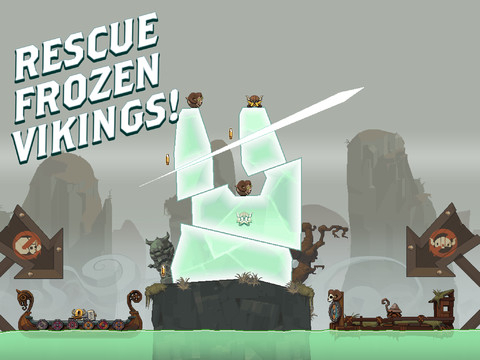 A careful bit of chopping will see you breeze through the early levels, and if you end up with a little bit of ice standing between you and victory, the captain of the longship will chop away at any fellow warriors held within, freeing them in the process. Bonus coins are hidden away in chests, and these can also be brought to the boat for a little bonus booty, albeit at the cost of complicating the solution. This is where the real replay value of the game is to be found, as you try to eke out an ever more efficient solution while still getting your hands on everything. Rest assured that things do get more complicated as you head deeper and deeper into the game, though. You'll have to avoid or destroy certain creatures, and they'll sometimes dirty the level with their icky snot which your traveling ice lumps latch on to, forcing you to make further careful cuts. You'll even have to mix up objectives from time to time, delivering different people and animals to different ships. The pacing of the difficulty is only really where the game lets itself down a bit. Given that the iPad version of the game costs nearly three times as much as the iPhone version ($2.99 & $0.99 respectively) it's certainly pricier than the majority of the games that fill this bloated genre on the App Store. That wouldn't be too much of a problem, given the generous selection of content and the high production values, were it not for the in-app purchases available in the game. The difficulty curve is a tough but satisfying one, although it occasionally assumes a near vertical stance. 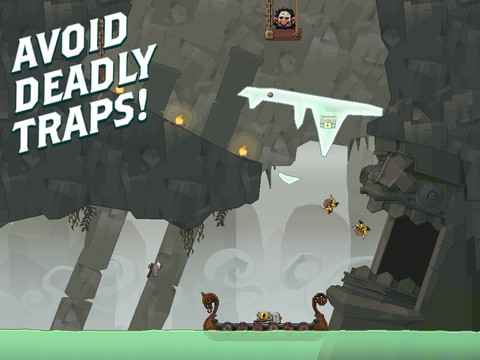 Here you'll find yourself most tempted by the IAPs - you can pay to use your tilt controls to nudge gravity a little, reposition Vikings on the screen, and so on. You can complete the game without resorting to these additional purchases, but we couldn't shake the feeling that the game's challenge is being used a little inelegantly to nudge you towards these game-changing upgrades. Fortunately, there's enough variety and imagination in the level design, not to mention humor in the game's storytelling, to help Icebreaker just about rise above these concerns. You can expect a stiffer challenge here than you'll get from the average physics puzzler, but that's not necessarily a bad thing in 2013. 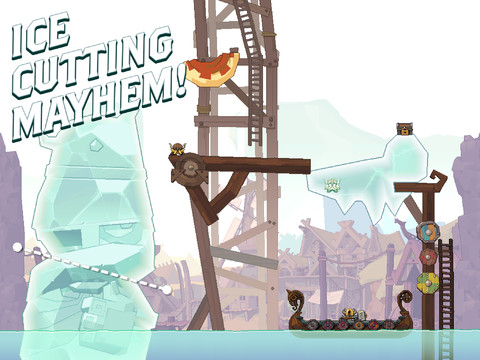 What's Hot:A refreshingly different - not to mention imaginative - physics puzzler that's worthy of the Rovio brand. What's Not:In-app purchases feel a little clumsily implemented, given the comparatively steep price of the iPad edition.